Modifications (changes) to child support do not happen automatically. One of the parents must request that the court change the child support order, using a written “motion” – a formal request to the court. The circuit court will have free “motion” forms that you can fill out. The court that makes the original child support award can modify the order if the parties’ situations materially change. “Material” means that the change matters and is relevant to the situation. Either parent (the parent who pays, or the person who receives the payment) may ask the court to change the order while the child is under age 18. What situations might cause a change in support? You must show that the facts as they existed at the time of the last child support order have changed. During the many years a child support order is in place, the parents’ circumstances may change many times. For example, in Maryland, if one parent's income has changed (either gone up or down) by at least 25%, this is usually enough of a change to require changing the support order. You can request a modification if your income has changed in a lesser amount, but you are not guaranteed a change in the support order. Many different events can create changed circumstances. For example, if the paying parent has had a large increase in income, the court can change the order to raise the child support. Or, if the child's needs change, such as if the child becomes sick or disabled, the court can increase the amount of support. Sometimes, time passing alone changes circumstances. For example, as a child grows older, it becomes more expensive to buy clothes, food, and other items. More expenses can justify increasing child support payments. Support can also be reduced if the paying parent can show why this would be fair. For example, support payments may be reduced if the parent who has custody over the child inherits money, gets a large raise, or otherwise has an increased ability to support the child. Or, if the paying parent loses his or her job, the court can be asked to reduce support during the period of unemployment. Other examples of changed circumstances can include becoming disabled or being sentenced to jail or prison. The best idea is to file a motion for modification with the court so the child support order matches what you and the other parent agree to. Do not make the mistake of modifying child support based on an oral agreement, or otherwise agreeing to a payment that differs from the court order. This can lead to future problems. The problem with oral agreements is that they are often vague in ways that the parties don’t realize at the time. People’s memories and understandings of the situation may differ. Any agreement that you make to modify child support should be put in writing so that there is no confusion later on. Under their child support order, Peter paid Alice, the mother of his son, $400 per month in child support. When Peter was laid off, he told Alice, "I just got laid off. I can't afford to pay $400 right now." Alice responded, "Okay. Pay $100 for now." Ten months later, Peter got his job back and began paying $400 in child support again. During his layoff, Peter had made 10 payments of $100. Alice called and told Peter she expected him to pay the $3000 he had not paid during the layoff. Peter replied that he did not owe the money because they had agreed to the child support reduction during his layoff. Alice disagreed. She claimed that she had not given up the right to $400 a month but had merely let Peter pay the full amount later, after he was rehired. When Peter said he would not pay, Alice took him to court. The judge ruled that the evidence did not support Peter's claim that he was excused from paying the full amount of child support during his layoff. The court ordered Peter to pay the $3000 to Alice at the rate of $100 a month, in addition to the usual payments of monthly support. Peter now has to pay $500 per month in child support payments until the $3000 is paid off. There are two ways you can try to change a child support order. Once every three years, either parent has the right to ask the office of Child Support Enforcement to review the child support order for possible modification. If you request a review and modification, you should put your request in writing and keep a copy for yourself as proof that you made the request. Explain why you are requesting the review of your order, sign and date it, and include your child support case number and other identifying information on the request. 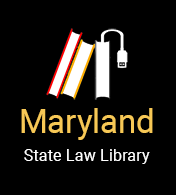 *In Baltimore City, motions can be filed in the paternity division or family division of the clerk’s office, depending on how the original order was created. You may need to check both offices. A parent cannot avoid his or her child support obligation by not making enough money on purpose. This is called “voluntary impoverishment.” The parent’s conscious choice to have inadequate resources (not enough money) does not have to be about avoiding child support – it can be for other reasons. If the court finds a parent owing child support has “voluntarily impoverished” himself or herself, the court may “impute income” to the parent. This means that the court will act as if the parent has an income when determining the child support payment. To decide whether to “impute” income to the parent, and how much, the court will look at the parent’s physical condition, level of education, the timing of any employment changes, the relationship of the parties, the parent’s efforts to obtain a job or training, past work history, and other factors. Maryland courts do not consider a parent being in jail or prison to be “voluntary impoverishment” unless the parent committed the crime intending to avoid paying child support. Willis v. Jones, 340 Md. 480 (1995). The law on this issue has changed, beginning on October 1, 2012. The new law will only apply to people who are sentenced on or after October 1, 2012. The person did not commit the crime intending to be put in jail or prison to make himself or herself unable to pay the child support (voluntary impoverishment). The child support order still exists even while payments are not due. Sixty (60) days after the parent in jail or prison is released, the parent must begin paying child support payments again, as the child support order requires. The parent will not owe the payments missed while he or she was in jail or prison. The office of Child Support Enforcement can suspend arrears (unpaid payments) that have accrued (built up) during eligible sentences that began on or after October 1, 2012, while the parent was in jail or prison. The parent in jail or prison will not have to pay child support payments during an eligible sentence that began on or after October 1, 2012. After being sentenced to jail or prison, the parent does not need to take action regarding their child support payments. The office of Child Support Enforcement can adjust the child support account of the eligible parent in jail or prison on its own, without the parent having to file a motion with the court. But first, Child Support Enforcement will send written notice to the person who receives the child support payments. The receiving person may object to the adjustment of the child support account. This section applies if you were sentenced to jail or prison before October 1, 2012. If a parent with a child support obligation goes to jail or prison, the child support they owe will continue to pile up while they are there. These missed payments are called “arrears.” To stop or reduce the child support while in jail or prison, the parent must file a motion to modify child support. The parent will not be able to go back and change past amounts of child support owed once those payments are late. The imprisoned parent should notify Child Support Enforcement and the court that they are in jail or prison, and request a modification to child support be made. Be sure the child support and court case numbers are on the requests and keep a copy that has the date on it, as proof of sending them. The child support obligation of a parent who is in jail or prison can be modified as a “temporary material change of circumstances.” The obligation cannot be completely ended because a child is legally entitled to support from his or her parent. The modification to child support remains only during the time the parent is in jail or prison and payments will become due again after the parent’s release. Wheeler v. State, 160 Md. App. 363 (2004).